ClienTrax provides cloud-based veterinary practice management, EMR and digital imaging solutions to fit your practice's needs with interfaces and integrational features to help you manage your practice functions. 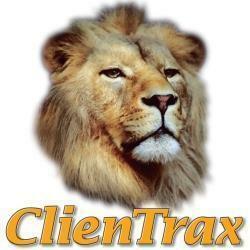 ClienTrax was the first software I used in the Veterinary field. It was also what I learned about in my Veterinary Technician course 5 years ago. This may be untrue now, however when my company forced our hospital to switch users it was due to ClienTrax not being up to date with new software technologies. ClienTrax was a great veterinary software! Once you and your staff are used to using the program I found inputting medical records (SOAPs, History’s, Client communications) was much easier to read and look up. ClienTrax had an amazing support line if you had any questions or problems with the program. We were able to set every rescue we worked with to apply certain discounts on surgeries, treatments and products. "Clientrax is a fair choice for veterinary purposes "
The software is easy to use and navigate. So many issues working with our network. It constantly freezes and/or shuts down. DVMAX delivers a paperless practice management solution that helps you manage your profits, missed charges, and manage your day-to-day activities involved in your practice. Hippo Manager is a cloud-based veterinary practice management software that helps you manage your offices with functions and features that include, medical histories and charting, appointment scheduling, point of sale system, and more. * We monitor all ClienTrax reviews to prevent fraudulent reviews and keep review quality high. We do not post reviews by company employees or direct competitors. Validated reviews require the user to submit a screenshot of the product containing their user ID, in order to verify a user is an actual user of the product. Hi there! Are you looking to implement a solution like ClienTrax?